Re-edited: Woot woot! 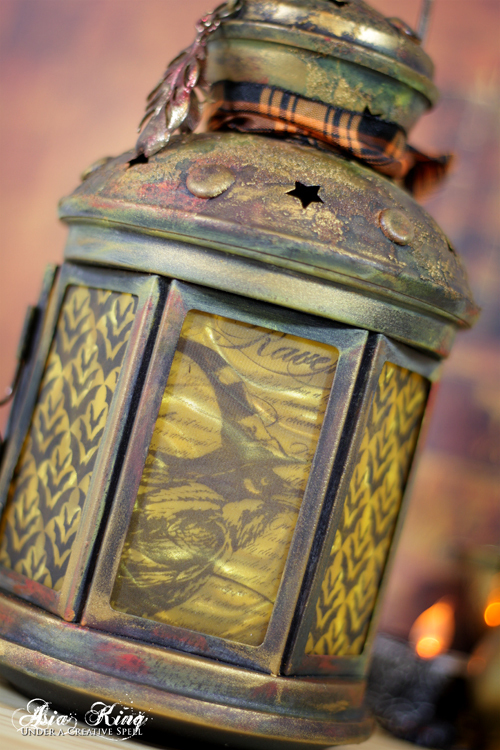 My lantern has won the October Mixed Media Monthly Challenge - yay! Big thank you to the MMMC's DT for choosing my project! 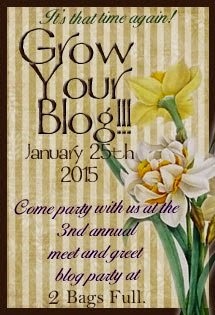 Hello lovely Bloggers! I hope you are all keeping well, enjoying the autumnal sunshine and colours. 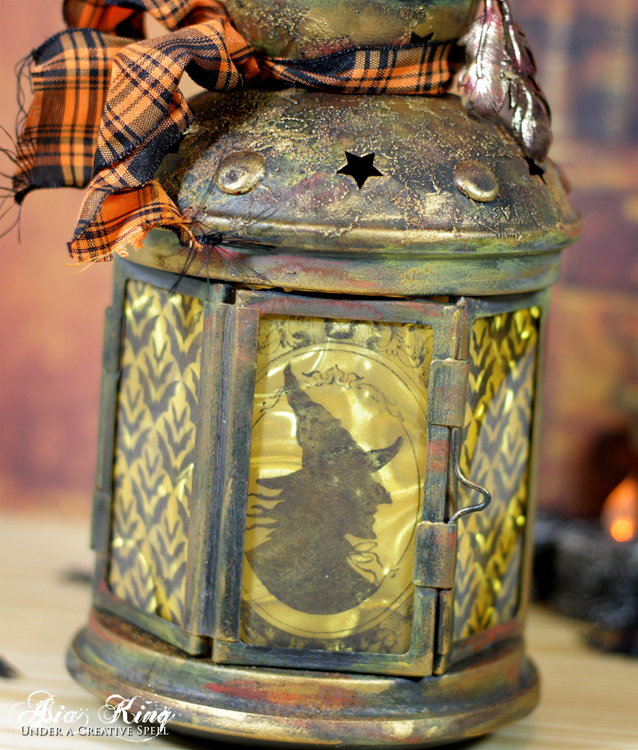 Today over at Scrapbook Adhesives by 3L's blog I am sharing an altered mixed media Halloween Lantern Tutorial using some of my favourite adhesives, stamps and paints. Hop over to the blog to see my faux rust technique, DIY rusty rivets and mesmerising illusion panes. Adhesive Supplies used: Adhesive Sheets 6"x12", DODZ™ - 3D, Thin 3D Foam Squares - Mix Black, E-Z Dots® Repositionable. 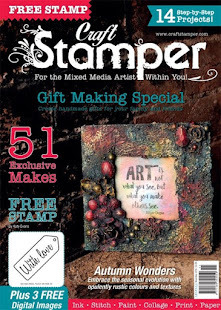 Media: DecoArt Americana Country Red, DecoArt Multisurface Satin in Muted Gold, School Bus, Steel Grey; Ranger Butterscotch Color Wash, Dylusions Black Marble Ink Spray, Rub'n Buff Grecian Gold, Jet Black StazOn ink, Spiced Marmalade Distress Embossing Powder. Rowlux Illusion Film Gold Moire; metal lantern, ribbon (May Arts), metal feathers/embellishments. 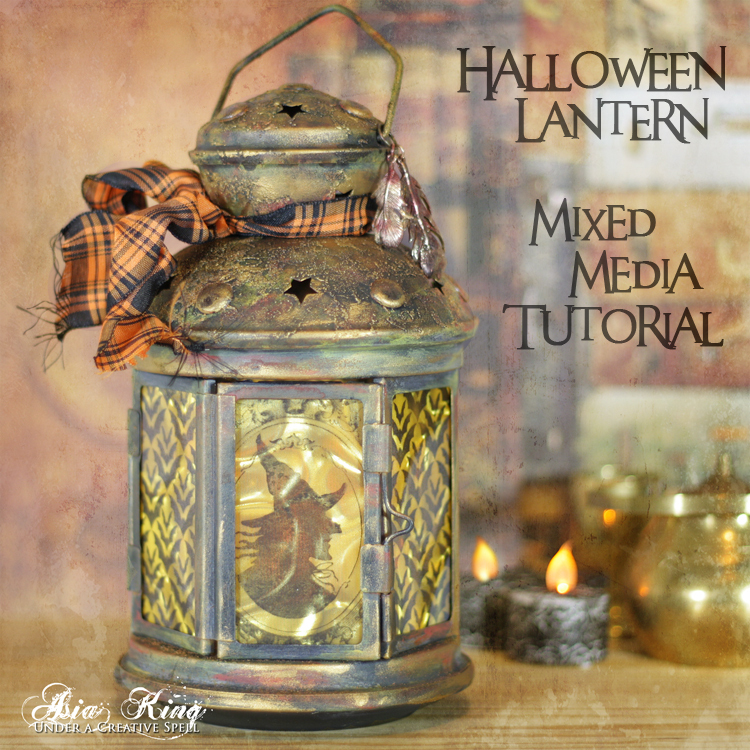 I would really love it if you found a moment to hop over to see my post with this Halloween Lantern Tutorial. And just to tempt you even more, here's a little video of my lantern lit up - I am really pleased with the final result :-). Thank you for stopping by and for all your lovely heart warming comments. Wow and Wow! I love how this turned out and the designs on the glass panes are utterly fabulous. Yay! This is such an amazing lantern! 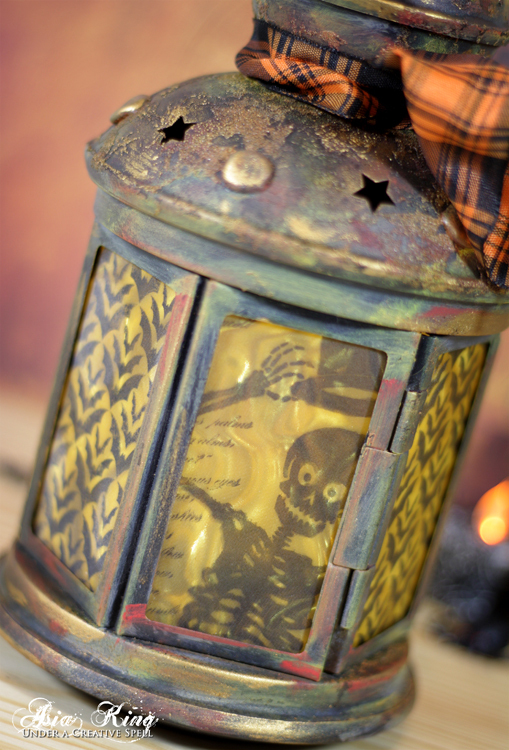 Love the glimpses of Halloween in the panes of the lantern. I have a similar lantern and yours is the perfect inspiration for me to work on mine. 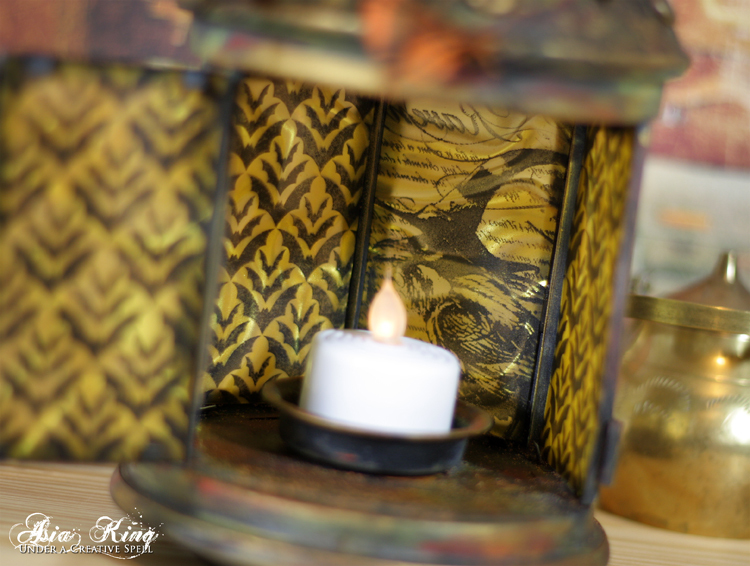 This altered lantern is amazing! Love the video. 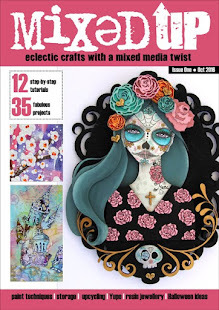 Thanks for joining us this month at The Mixed Media Monthly Challenge. Awesome altered lantern! Great seasonal project and the video was fun! Thanks for joining us in this month's Mixed Media Monthly Challenge! This is wonderful! I love your step by step tutorial. You did a great job making it look old. Love this. Thanks for joining this month's Mixed Media Monthly Challenge! this is just way too cool! now i wanna go make one! 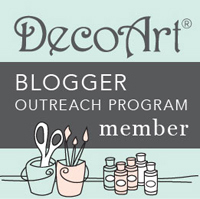 Thank you so much for playing with the Mixed Media Monthly Challenge! Congrats!! Well deserved too! Such a fabulous project!